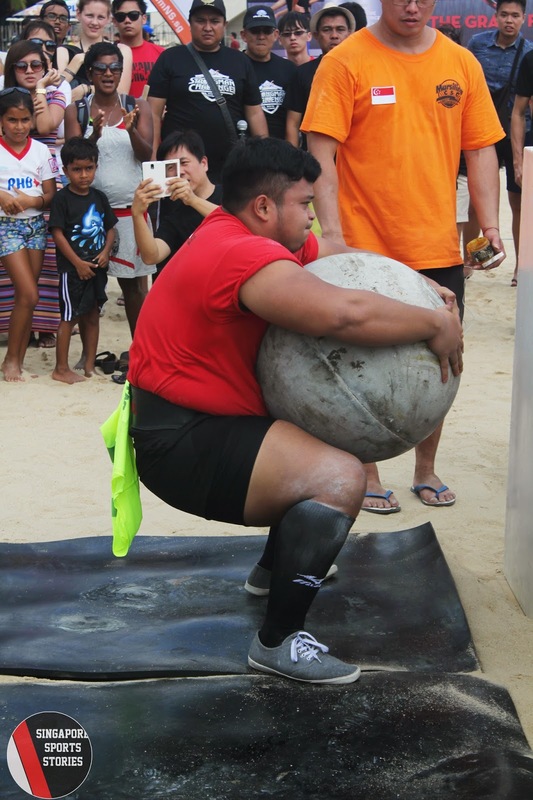 SENTOSA, Singapore – In a first, the annual HomeTeamNS Strongman Challenge brought the action to the beaches as the strongest men in Singapore gathered at Siloso Beach on 6 September 2014 to vie for the title of Singapore’s strongest. With chalk smeared hands and sand stained shoes, the strongman took to the sands to flip, lift, and heave heavy loads in front of a raucous crowd. The event promised a spectacle of strength and it delivered. 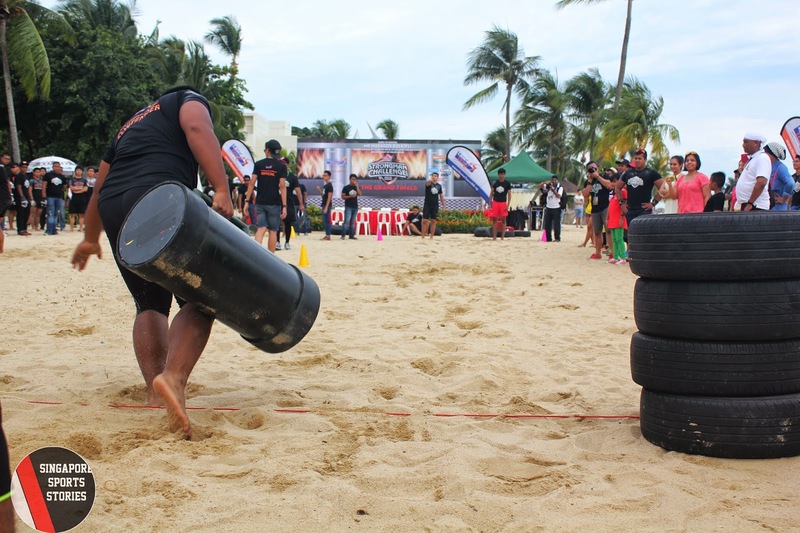 Participants took on five event challenges – Tyre Flip, Atlas Stone Lift, Log Walk, Car Deadlift, and the Red Rhino Pull which featured Singapore’s unique firefighting vehicle. 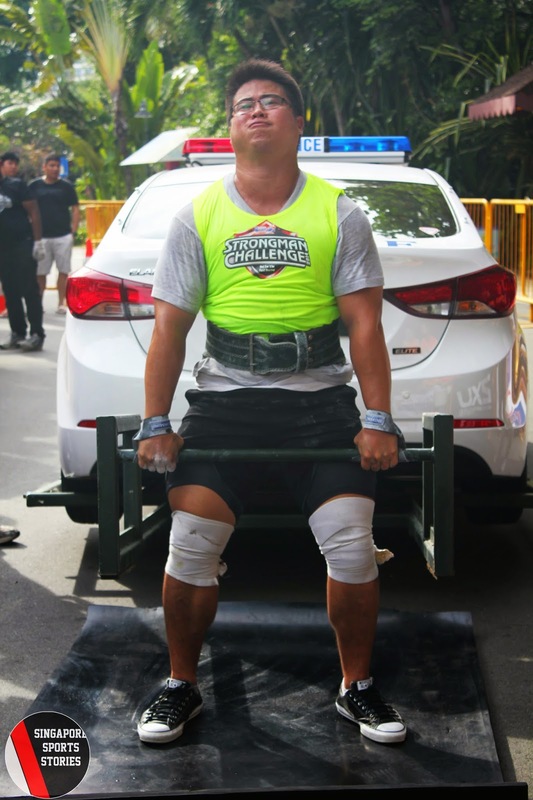 The man who rose above all in the Open Strongman Individual category was 22-year-old Tan Bin Soon. 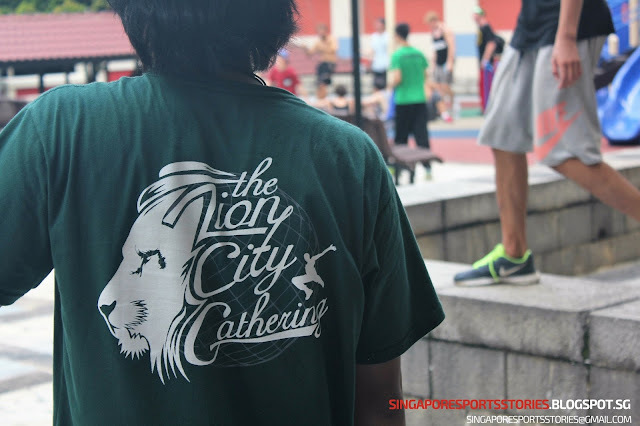 The NUS student claimed the crown after he racked up the most points at the end of the five challenge events. Coming into the competition, Mr Tan said that he was slightly nervous and excited. “It was tough; I tried to imitate the events during trainings, like for the tyre flip,” he said. He was training up to five times a week in the lead up to this competition. In the tag-team opens, SG Titans (SP) 3 took home the title after the pair combined strengths to score the highest for three challenge events. Organised by HomeTeamNS, the challenge was first held in 2005 as a means to promote physical strength. 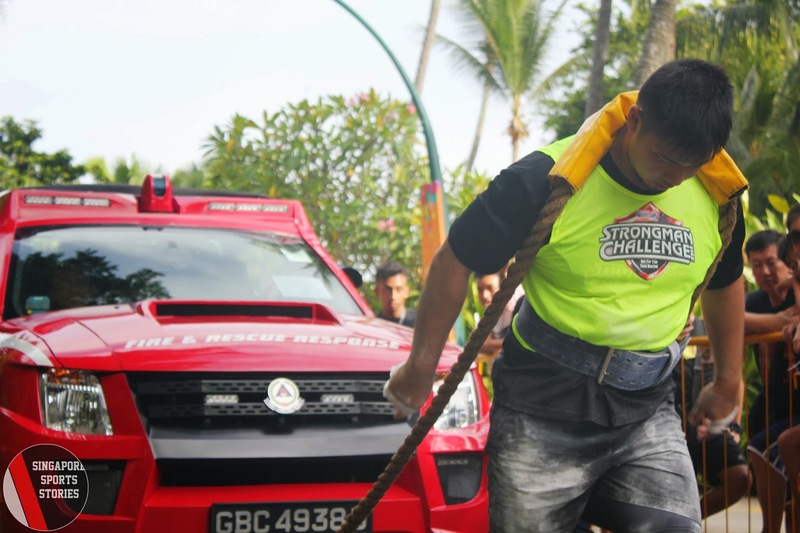 “One of the competencies of a man is physical strength, so we want to promote that.” said Mr Derek Ong, who was part of the organising committee for the challenge. Ms Christine Pang, Senior Manager of Operations and Engagement at HomeTeamNS, shared that the decision to hold the competition at the beach was a bid to draw more youths. “This is a venue for the young. It (Sentosa) is also a place the SCDF and police frequent. We also have new events like the Fitness Model segment so it suited the beach theme.” said Ms Pang. Besides the challenge, the event had engaging activities and booths which gave the public a chance to get in on the strength act. Besides the supplement booths and a massage booth, the public was welcomed to test their brawns on the Barrel Lift Challenge or test themselves on rowing and cycling machines at the Fitness Workz booth. There was also time for the traditional tug-of-war challenge and Team Jaguars, a team of firefighters, won the HomeTeamNS category. The firefighters came together and pulled their way to the top. Muhammad Radi, 24, Rota Commander and the front man of the team attributed technique to their victory. “When we are preparing for the first pull, we dug our legs in (the sand) as the first pull is important where we could get pulled over by the other team.” he said. “We focused on our technique, stance and explosive power (during trainings).” On stage, a Fitness Model segment continued the theme of fitness in this year’s edition. Mr Masagos Zulkifli, Senior Minister of State for Home Affairs and Foreign Affairs and President of HomeTeamNS, graced the event and handed prizes to the winners, concluding HomeTeamNS Strongman Challenge 2014.
team bonding singapore:-"Tagteaminc provide hometeamns,team building and company team bonding in Singapore. Consult for more information today."